Edward Web Design Company offers superior quality customer service not available from larger firms. Edward Web Design Company is a small web house specializing in web design, web development and web hosting services for clients across the US, Canada and Europe. Our team has been designing web sites since 1999 and our services provide cost-effective and professional solutions for website development and web design. We believe that first impressions are one of the most important aspects in web design. We can provide you with all the benefits of your own website without any of the technical concerns. We can ensure your website reaches the widest audience possible. Thank you for designing my site. If anyone is looking to create professional website, look no further. 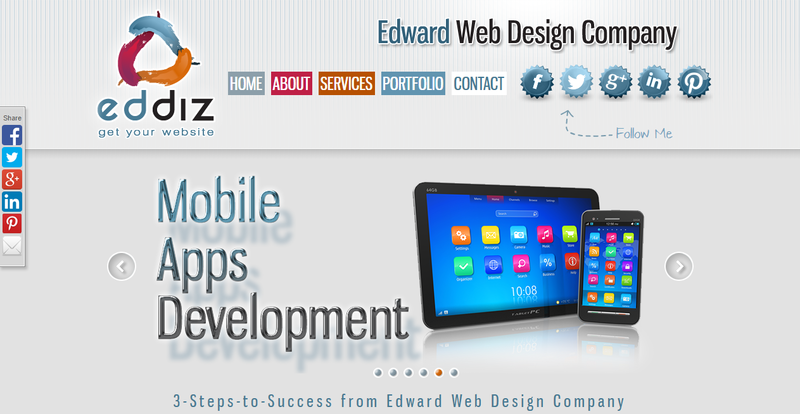 Edward Web Design Company will create a stunning site that can satisfy any client. Managers from Edward Web Design Company are professional, creative and always available when I need they for smallest tasks or large projects. If you’re on a market for web design or SEO or looking for out-of-the-box ideas – hire Edward Web Design Company and you will not be disappointed! Edward and his company did a great job for one of our client. Ed’s organization completed the job on time, on money, communicated clearly and remove us from any project management activities. There are a lot of web design studios on the market but there was a serious reason why we picked Edward Web Design versus other competitors: a number of references from the people we trust. Edward Web Design consistently provides an outstanding web development service. I would highly recommend using his services to anyone interested in establishing their business on the web. Edward Web Design Company is very professional, knowledgeable, personable. It is a pleasure working with them. Edward Web Design Company is a not only highly professional but also very intelligent team. It’s a real pleasure to deal with people like them. Managers from Edward Web Design Company is well organized, efficient, and has excellent communication skills with people of all ages. Highly recommended! Excellent design, super flash production, very creative, on time, on budget. Highly recommend Edward Web Design Company. Edward Web Design Company is a detail oriented and innovative – their ideas, skills, creativity and understanding helped make our projects a dream. Edward Web Design Company offers superior quality customer service not available from larger firms. Also we pamper our clients, especially with fast response time to customer service and technical support requests. In today’s highly competitive marketplace, your business cannot afford to be without a website. Having a web address, www.yourbusiness.com, is more than a status symbol; it is a cost-effective and necessary way to market your business and products.